Graeme McDowell will attempt to carve a niche for himself in Scottish golfing folklore this summer when he bids to become the first player in history to win The Barclays Scottish Open at Loch Lomond Golf Club in successive years. But, to do so, he will have to overcome an impressive list of former champions all determined to stand in his way. Three time Major Champion Ernie Els has enjoyed two victories in the tournament but not in consecutive seasons, which gives the 29 year old from Northern Ireland the opportunity to claim a notable first for his already burgeoning CV. McDowell, who made a highly impressive Ryder Cup debut at Valhalla Golf Club in Kentucky last September, is one of no fewer than ten former champions who will return to Loch Lomond from July 9-12, taking their place amongst a galaxy of international stars who will ensure the tournament’s continued prominence as one of the most eagerly anticipated weeks on The European Tour International Schedule. The group of former champions competing alongside McDowell is led by Thomas Björn who won the title in 1996 – the year the tournament took up permanent residence at Loch Lomond – and is completed by Lee Westwood (winner in 1998), Colin Montgomerie (1999), Els (2000 and 2003), Retief Goosen (2001), Thomas Levet (2004), Tim Clark (2005), Johan Edfors (2006) and Grégory Havret (2007). Last season, McDowell put together rounds of 67-70-66-68 for a 13 under par total of 271 to finish two shots ahead of the fast finishing James Kingston of South Africa and admitted he is already excited at the prospect of returning to Scotland. “I can’t wait to get back to Loch Lomond again this year,” he said. 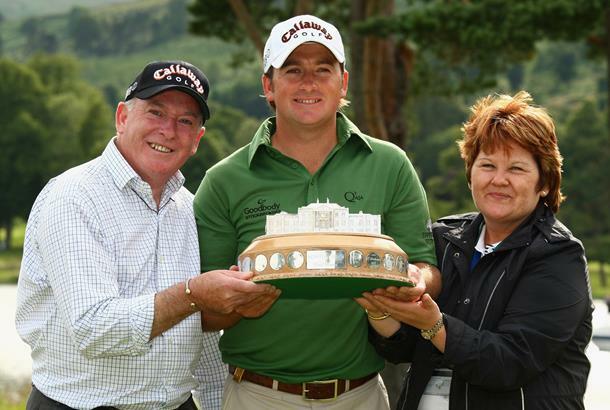 “Winning The 2008 Barclays Scottish Open was a fantastic moment in my life that elevated my career to a whole new level. It was also a proud moment for me as I had my parents there to witness it – it is a win I will treasure for a very, very long time. Thomas Levet is another former champion who loves the annual visit to Loch Lomond and the Frenchman gave credence to the belief that life truly begins at 40 after winning the Open de España over the Stadium Course at PGA Golf Catalunya, his fifth European Tour title, two weeks ago. Thomas Björn is also starting to display the form that helped him to win nine European Tour titles between 1996 and 2006 – having finished in the top six in his last two outings – and the 38 year old Dane made no secret of what the tournament and its venue meant to him. Meanwhile, Colin Montgomerie, will be hoping that home advantage will help him to rekindle the form that saw him win in 1999 and claim eight Order of Merit titles in total between 1993 and 2005.